Fight the Fakes invited partner organisations and any interested groups or individual to raise awareness and join Fight the Fakes Week 2018 and speak up about falsified medicines. With our 37 partners, we have great potential to spread knowledge and raise awareness of fake medicines throughout our networks and staff. 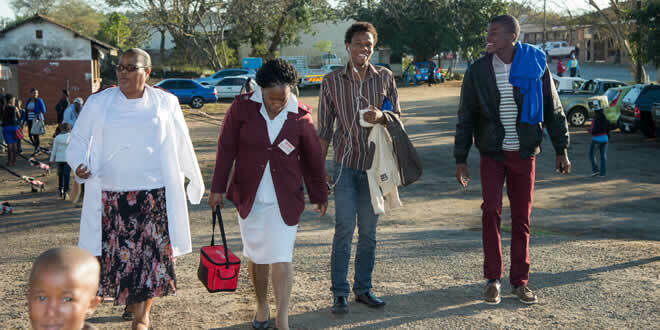 The week also coincided with Patient Solidarity Day, “Safe Medication and Healthcare for All” by campaign partner the International Alliance of Patients’ Organizations (IAPO). Have a look at this detailed Fight the Fakes Week 2018 Review and get inspired for the next edition of Fight the Fakes in 2019 between 2-8 December! 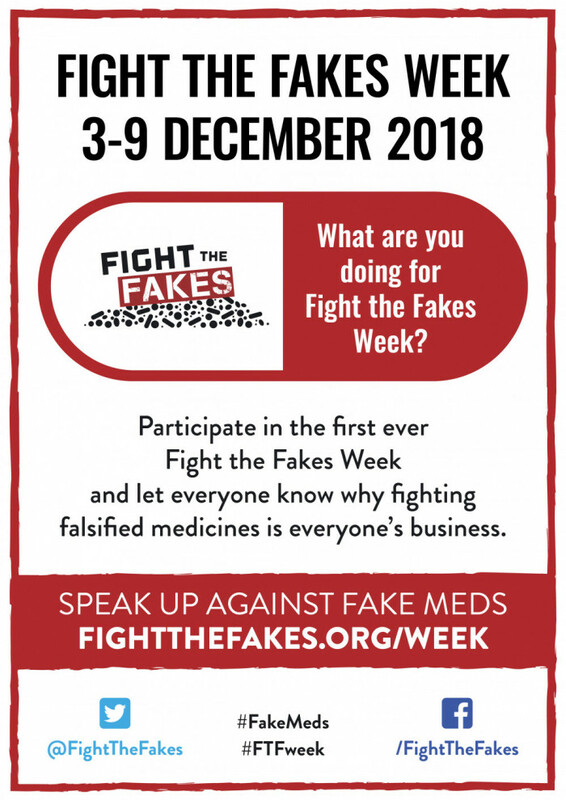 Participate in the first ever Fight the Fakes week and let your colleagues, friends and family know why fighting falsified medicines is everyone’s business. Join our partners in their activities. All times are displayed in local time. 15:30: Panel – Ensuring the Quality of Medicines and Fighting Counterfeited Drugs with Mahmoud Sani, Bayero University Kano, Martin Bernhardt, Sanofi, Luc Besancon, Pharmacy and Consulting, Julie Redfern, The Georgia Insitute for Public Health Australia. Moderated by Hussain Jafri, International Alliance of Patient Organizations. Full programme here. 12:00: Lunch Hour Lecture – Screening Technologies: Will they save the Day?